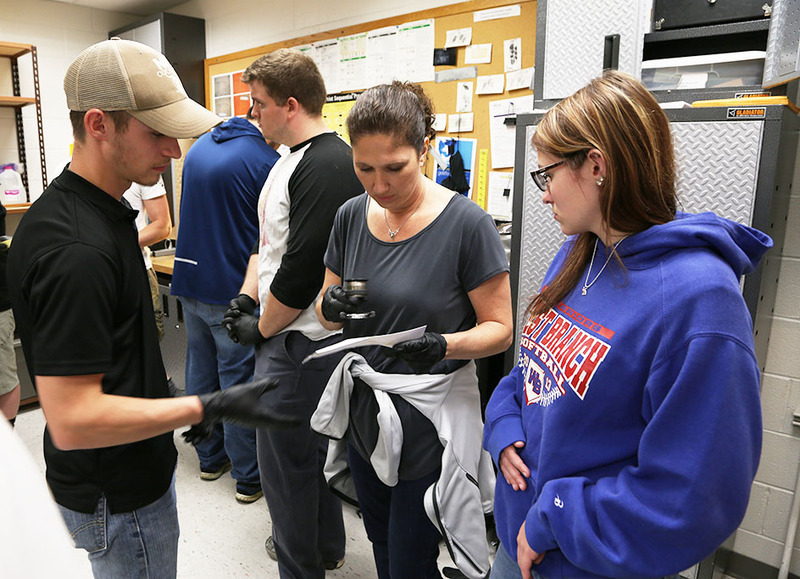 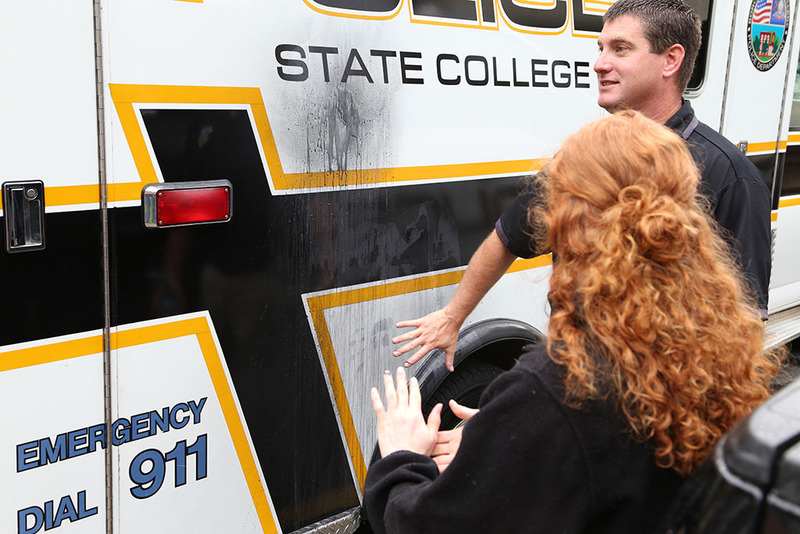 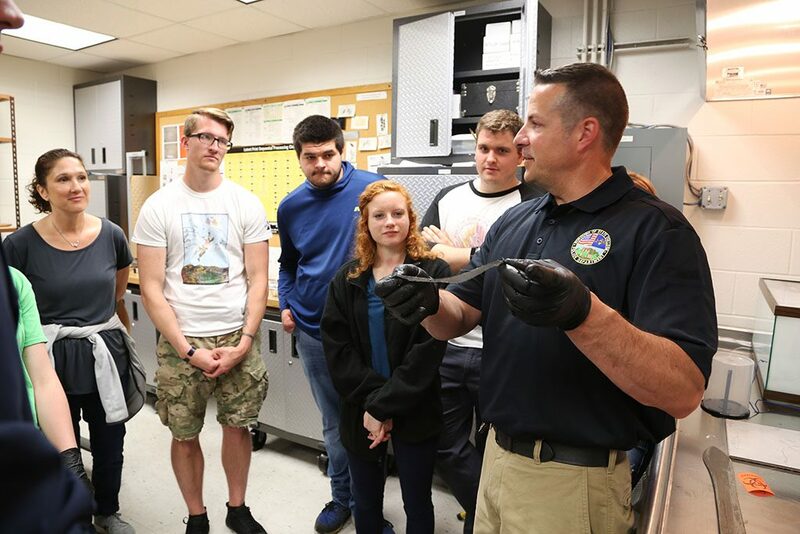 LEWISTOWN — Detective John Aston of the State College Police Department (SCPD) provided some hands-on experience for first-year Criminal Justice students at South Hills School of Business & Technology. 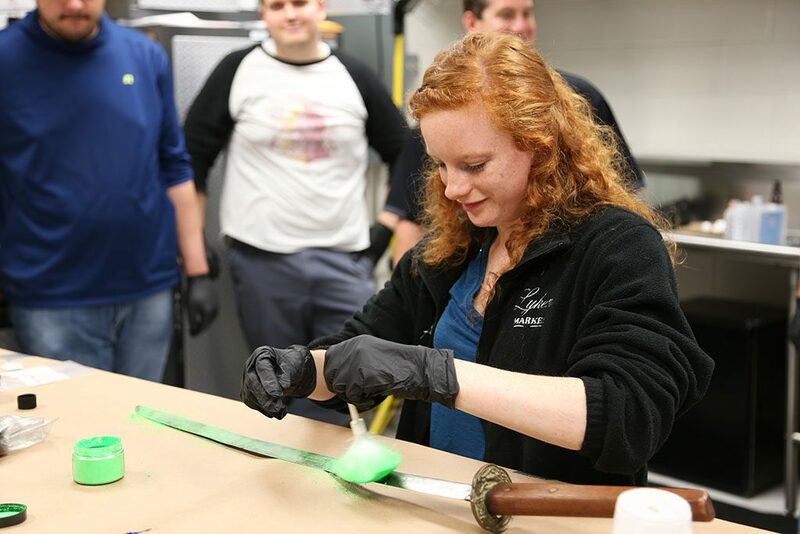 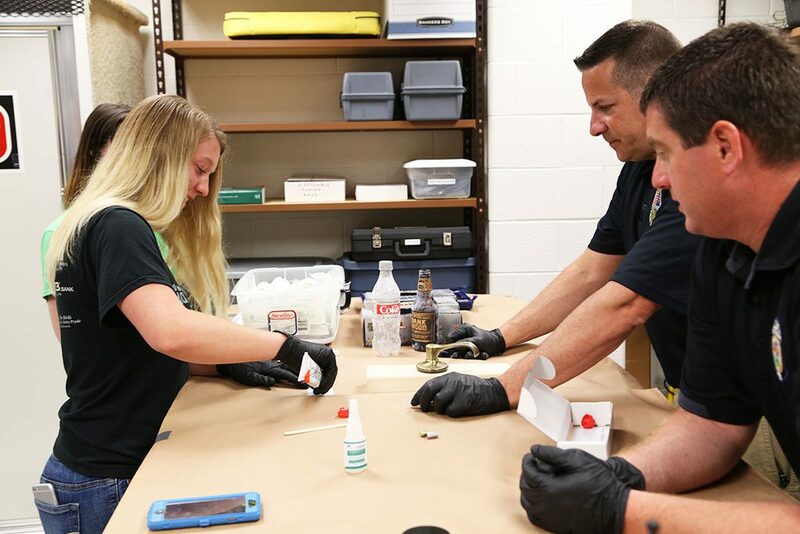 Students were first given a tour of the SCPD Crime Lab, and then Detective Aston demonstrated different methods to dissect evidence from crime scenes to help solve cases. 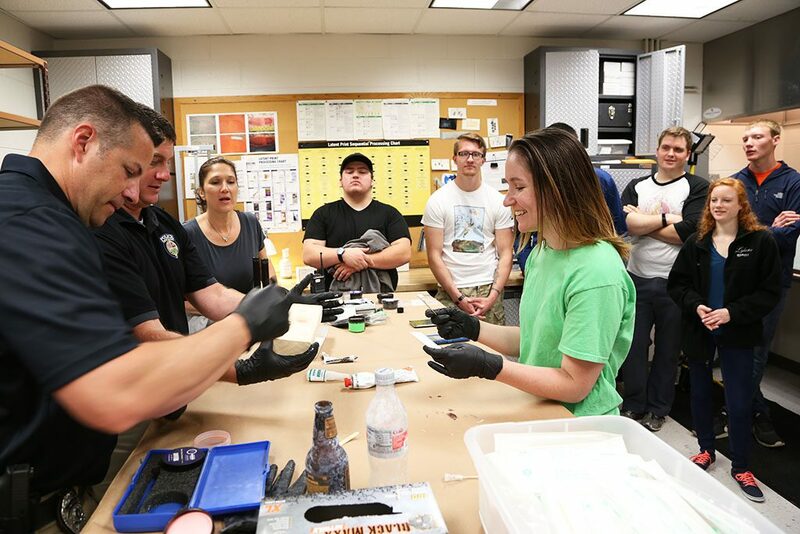 He explained to the students that fingerprints and DNA are very helpful tools, but gathering and processing the evidence isn’t the quick process that you see on television. 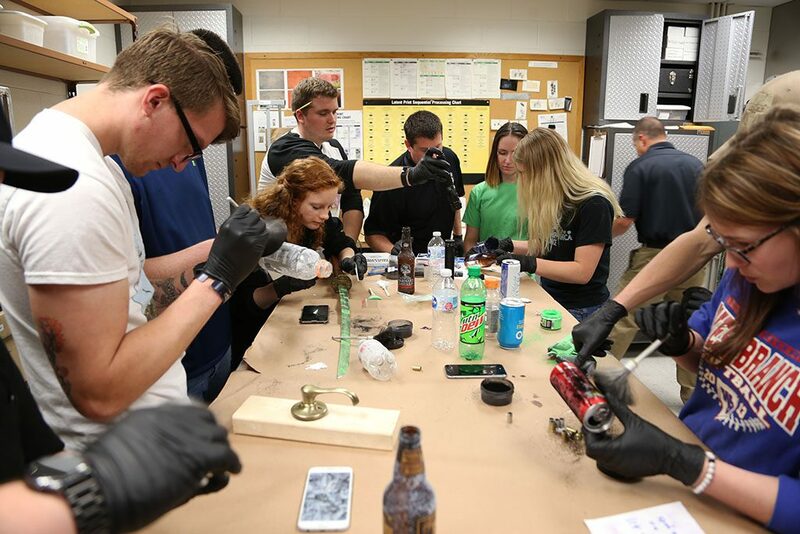 After being shown a variety of ways to collect fingerprints from many different objects such as cell phones, bottles, pieces of paper, and bullet cartridges, the students were able to participate in hands-on activities to pull the fingerprints themselves using an array of methods and tools. 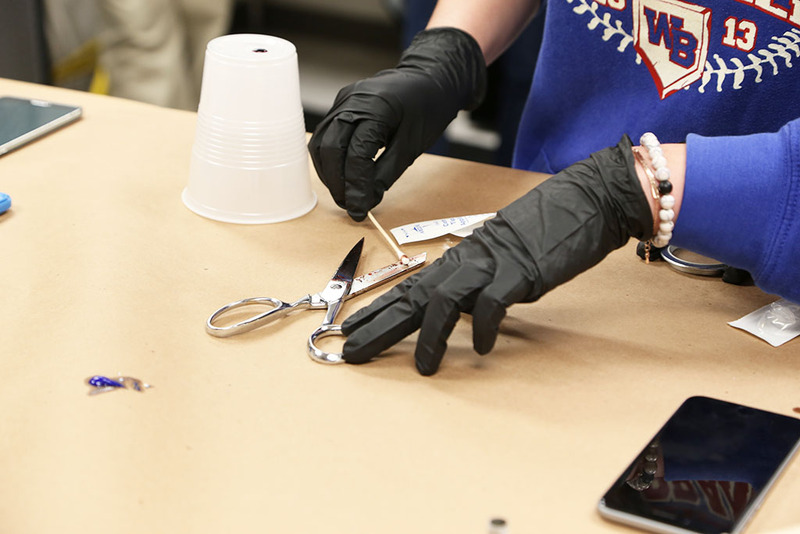 The students also helped conduct experiments to confirm the evidence of blood from crime scenes. 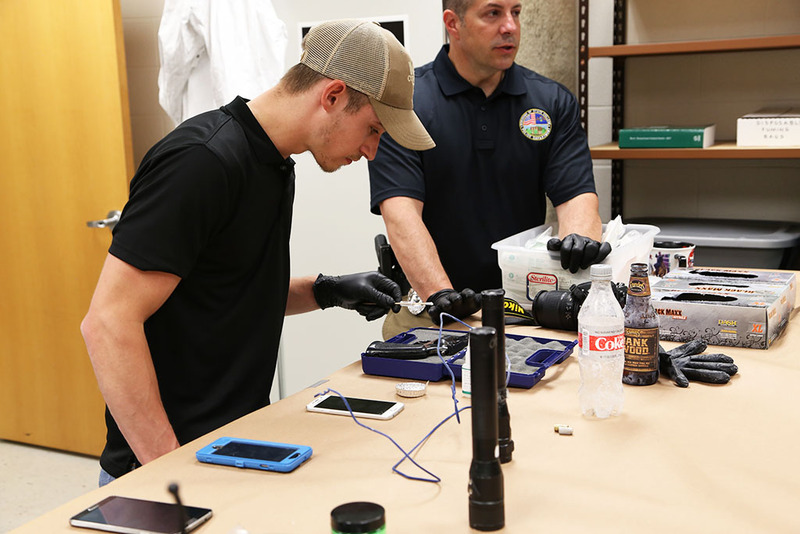 The detectives demonstrated how Luminol works, enabling them to spot blood evidence that is unseen to the naked eye.